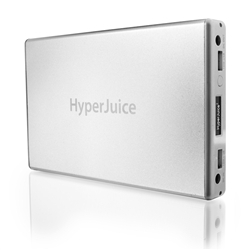 HyperJuice 2 is our next generation of external battery packs that feature an advanced battery management and monitoring system. 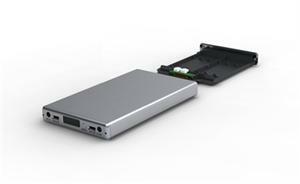 An OLED screen provides detailed battery information like percentage power remaining, temperature, time to full charge and discharge. 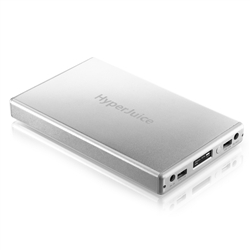 HyperJuice2 battery modular design allows the aluminum casing, lithium ion battery cells and logic board to be replaced and upgraded individually, making the battery future proof and environment friendly. 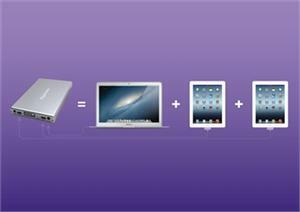 Compatibility: All models of Apple MacBook / MacBook Pro / MacBook Air, The New iPad 3/iPad 2/iPad, iPhone 3/3S/4/4S/5, Samsung Galaxy Tab 10.1 and other Tablets. 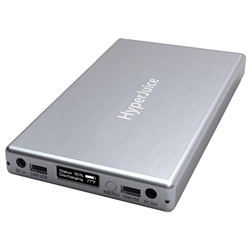 Modular design allows aluminum casing, battery cells and logic board to be upgraded individually making the battery environment friendly and future proof.